As our name implies, for every outer sense, there’s an inner one. When we dream, we see, hear, smell and sense that inner-world just as accurately and precisely as we do the time domain we live in. Our methods and technologies are designed to turn the focus of attention inward toward the greatest nation on earth…the imagi-nation, the reciprocal spectral domain, innerspace…the “other side”. advanced transformational technologies to the world. Almost everyone has something they would like to change so applications for transformational technologies are vast. Ours is considered worldwide to represent…state of the art. Our science is based on a theory put forth by one of our founders in the late 80’s called Sensory Resonance, which is a new and expanded model of the human autonomic nervous system or ANS. The theory is rooted in the fact that the only connection that consciousness has with the internal or external environment is through the sensory mechanisms. The basic premise of the theory is that when the reticular activating system that controls levels of attention in the brain is provided with a coherent mulit-sensory experience in a safe environment, it relinquishes control of attention to higher states of mind…feelings of peace, well-being, a connection to the circle of life, a feeling that all is okay and that one is on the right track. These feelings, of course, lead to better health and all of the other good things in life. Our products and services were developed to help a person achieve sensory resonance, wherein lies access to the higher self and AHA! is a common peak experience…a Fusion of Science and the Senses. Some have even referred to them as Spiritual Technologies. positive change upon planet earth. All of our products and services were designed for one main purpose…to assist users and recipients in consciously evolving to higher and higher levels of order. We have three main corporate divisions. 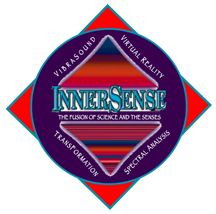 Our VibraSound Sensory Science division designs and manufactures sensory resonance vehicles based on its30 years of experience with transformational sensory technology. A second division, Psiometric Science, utilizes our patent, the Separation and Reintegration of Real and Imaginary in the Temporal Domain to create technologies designed to personalize the VibraSound experience. This patent is the underlying principle behind all of our quantum biofeedback products and services, which assist users in resolving the difference between the actual and potential components of a thought or stated intention. Such resolution reduces tension and allows change and transformation at the most basic, fundamental level of reality where everything originates. A third corporate division, Harmonic Law Publications, provides access to our research and development archives, blogs, white papers, books, music, charts and study aids.